Mercury accounted for roughly 40% Lincoln-Mercury sales last year so when Ford Motor Company announced that they were killing the brand, those L-M dealerships were understandably unhappy. Not only do those dealerships miss out on those sales from Mercury but they also lose the foot traffic from people showing interest in the Mercury brand. FMC has promised these Lincoln dealerships new models in the coming months but that didn’t do the luxury arm of the company any favors this month as Lincoln saw a heavy decline in sales in a month where just 5 brands (one being Mercury) were in the red. 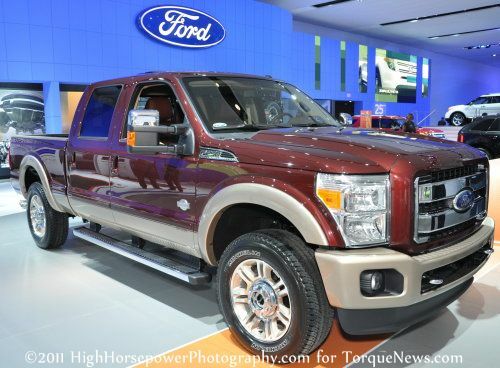 Ford showed good growth, with 121,511 vehicles sold accounting for an improvement of 21.6% over January 2010. That high sales volume also made Ford the second bestselling company in the US market next to Chevrolet who showed 125,389 vehicles delivered in January. With almost 36,000 units moved last month, the Ford F-Series lineup was the Motor Company’s best performer and the Ford trucks showed an improvement of 29.6%. The Ford Fusion remained very strong, with 14,346 units sold making the efficient sedan the second bestselling vehicle in the brand (an improvement of 17.8%) and in third place was the Escape compact SUV with 13,973 units sold. From the new 2011 models, the Fiesta and Explorer showed strong numbers in January with 4,270 and 7,351 units sold respectively. The 2012 Ford Focus is expected to arrive in the next few months and when it does, we can expect this new C-segment sedan and hatch to boost the sales numbers from FMC. Lincoln is the only other current brand from Ford Motor Company and without the Mercury brand, Lincoln dealerships were the worst performing in terms of growth with just 5,558 units accounting for a decline of 21% in January. The MKZ (sibling of the Ford Fusion) was the bestselling model with 1,574 units sold (and improvement of 17.5% from last January) and the Town Car also showed an improvement in January (868 units, 11.7%) but every other model in the Ford Motor Company luxury lineup saw a drop in sales last month. Ford has promised more new model development and advertising efforts for these Lincoln-only dealerships in the coming months and from the look of last month’s results, they will need the help. In the first month of the first full year without Mercury, the now-gone middle child brand saw just 248 units sold - a decrease of 95.5% from last January.